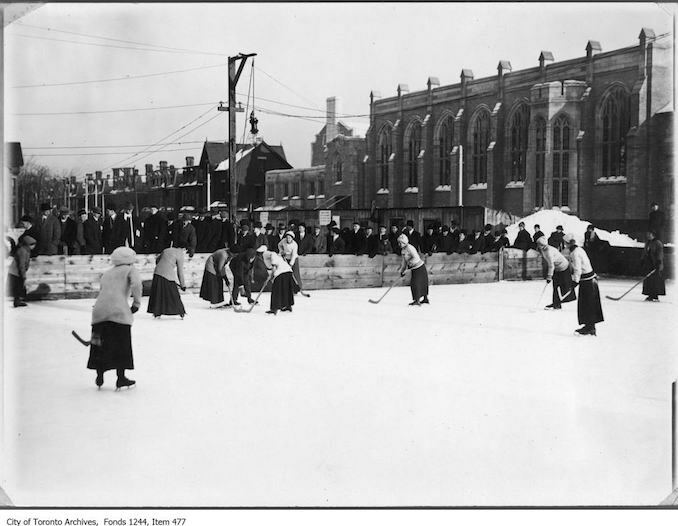 Join Toronto Public Library and Myseum of Toronto for Myseum on the Move, a pop-up program to share personal sport related photos, objects, and memorabilia that represent what Toronto means to you! Have any Toronto Maple Leafs memorabilia, old jerseys, or first place ribbons with a story? Come share them with us. Your sharing will help us to build Myseum Memories, a digital documentation of the diversity of experience in Toronto. Item consists of one photograph taken at the Burwash Hall playing fields, Victoria College, University of Toronto.